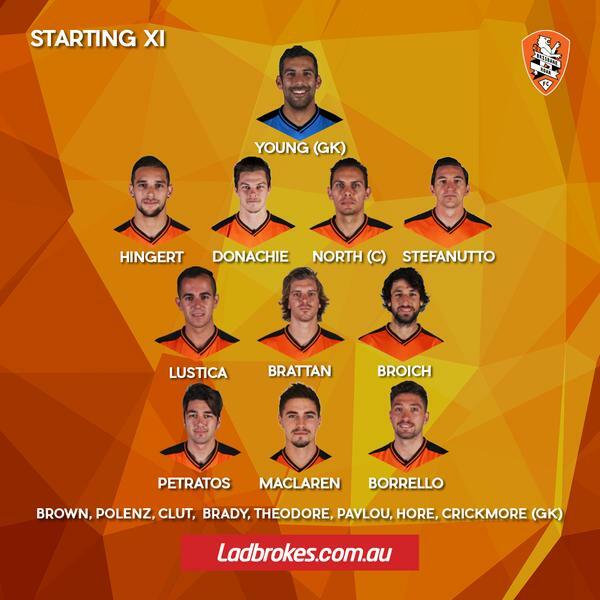 Good morning and welcome to our live coverage of Liverpool's pre-season friendly with Brisbane Roar. We'll also be bringing you updates on the Christian Benteke move as the Belgian striker moves closer to a £32.5 million move to Anfield. 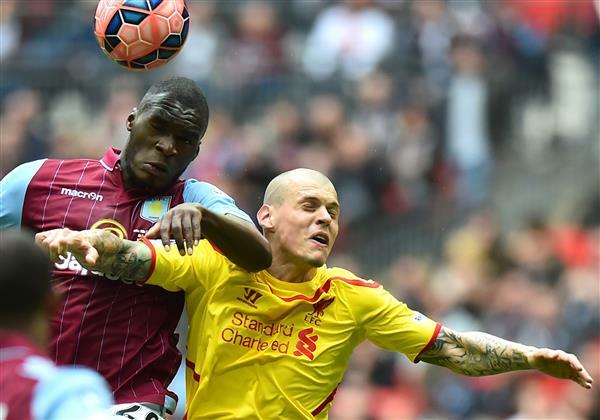 How are pundits reacting to the Benteke move? Benteke a solid signing for #LFC. Proven in PL, causes defences problems with his pace & power, & a decent finisher. Should score 15+. Christian Benteke's still in Portugal with Villa. Paperwork to be done by the way. The remainder of Liverpool's squad are on the bench. AND HERE'S THE ROAR SQUAD! Which is a football team apparently. Here's what Dietmar Hammann had to say to the Liverpool Echo about the signing of Benteke. “I think Benteke is worth the money. “Look at what kind of money is being paid for other attacking players – like the £49million Man City paid for Raheem Sterling. “I think £32million is probably about right. In fact I would have paid a bit more for him because I think he's that good. “I've seen him terrorise defences and he gave Liverpool a torrid time at Wembley a few months ago. “There's not many players out there who can play up front on their own. “You have to be able to hold the ball up, score goals, occupy defenders and bring others into play. He does that. He's an aerial threat, he has pace and he can finish. 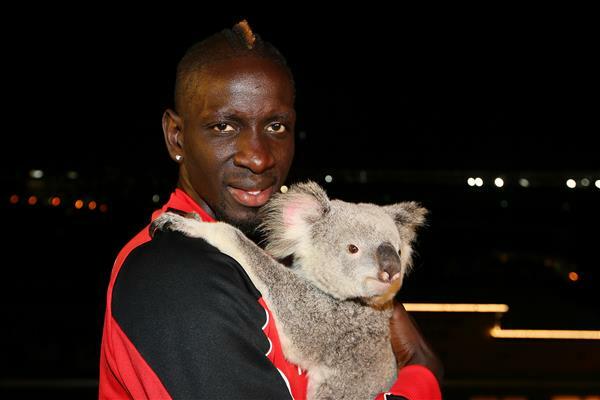 I think he's tailormade for Liverpool." 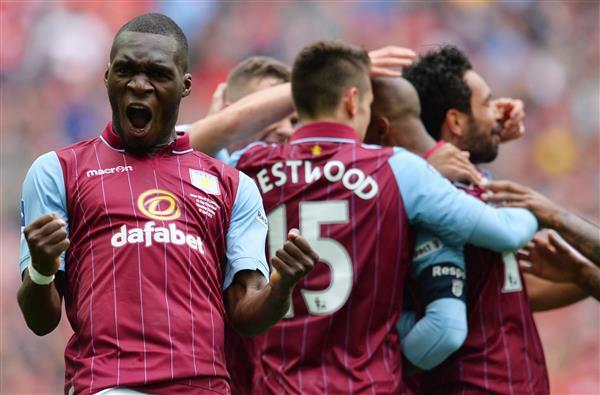 Christian Benteke did indeed impress against Liverpool last time he played against them, scoring Villa's equaliser as the Birmingham side made it into the FA Cup Final. He's not the first player Rodgers has made a move after he played well against Liverpool. 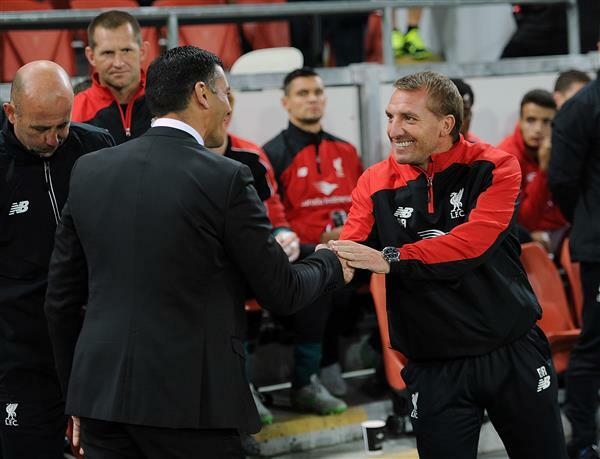 See Danny Ings and Nathaniel Clyne, both of whom performed excellently in games when Rodgers was watching. 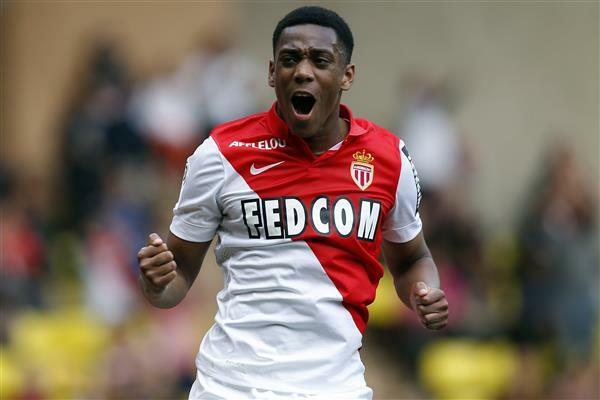 L'Equipe have linked Aston Villa with a move for Anthony Martial as they line up replacements for their Belgian forward. This could be bad news for Tottenham, who have been linked with the 19-year-old throughout the summer. Here's the teams again, with a first start for James Milner in what looks like a midfield diamond, with Adam Lallana playing behind a pacey front two of Danny Ings and Divock Origi. How would Christian Benteke fit into this lineup? 'You'll Never Walk Alone' rings around the 50,000 SunCorp stadium, which seems nearly full. 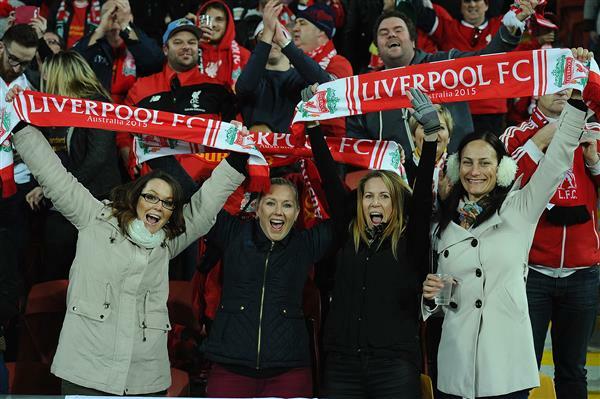 Mark Lawrenson comments on LFCTV that Brisbane look like the away side. If it weren't for the fact that Liverpool are wearing their new away kit you'd have to agree. 2 mins: Brisbane win an early free-kick from a careless Lucas foul. It comes to nothing but the home side battle to win the ball back high up the pitch. If they continue this attitude they should give Liverpool a good workout. GOAL: Which they chose to play short. Liverpool have a chance to clear and don't. Eight defenders are back but not one picks up Petratos, who steps past Skrtel and Sakho before slotting into the bottom of the net. Where's your Steven Gerrard now eh? 20 mins: Joe Gomez, about the only player providing any width for Liverpool, floats one towards the far post and Ings. His header loops wide and over. 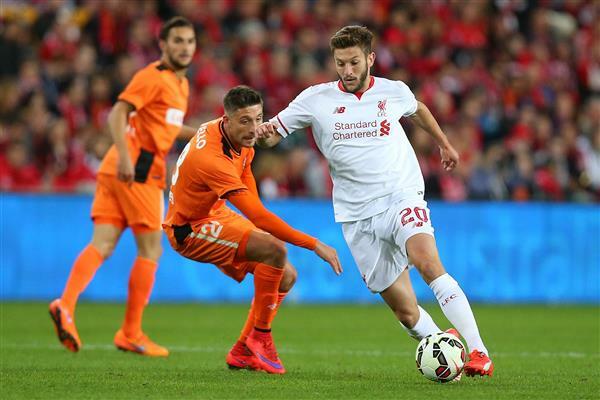 22 mins: Adam Lallana drifts out to the left and looks to take on right-back Hingert. He has no problem winning a goal kick, just as goalkeeper Young comfortably beats Ings to a through ball a minute later. 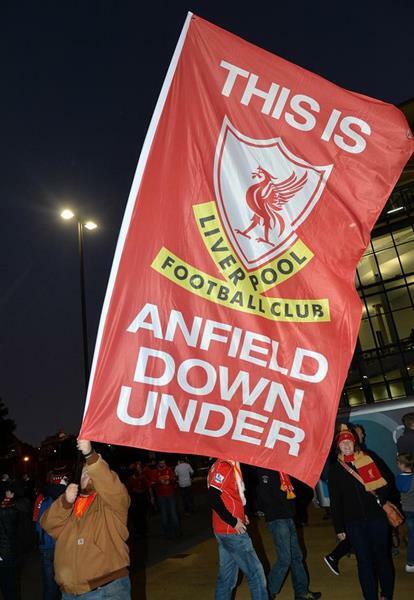 Liverpool aren't producing anything at all to worry Brisbane. 25 mins: Excellent football from both sides! At last! Clyne gets forward on the right, delivering a low cross for Ings. His first touch gives him the space to hook a low shot around the defender, forcing Young down smartly to his right. Tottenham fans, your luck may have come in. 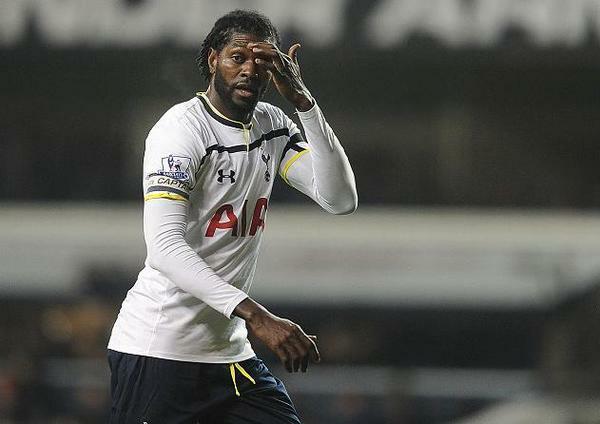 Rather than move for your target Anthony Martial the Daily Mail is reporting they may be willing to take Emmanuel Adebayor off you. GOAL: Adam Lallana equalises with a fine finish. Our very own Tom Dutton saw it coming. A long ball from Milner finds Lallana in space on the left corner of the area. He cuts onto his right foot and finesses the ball into the far corner. Exquisite. 32 mins: Liverpool look better for their goal, with Henderson and Milner looking energetic. However they're too reliant on Lallana finding a way through a well-organised Brisbane backline, and Origi in particular is hardly seeing the ball. 36 mins: Origi then goes and makes himself the centre of attention for the next few minutes. 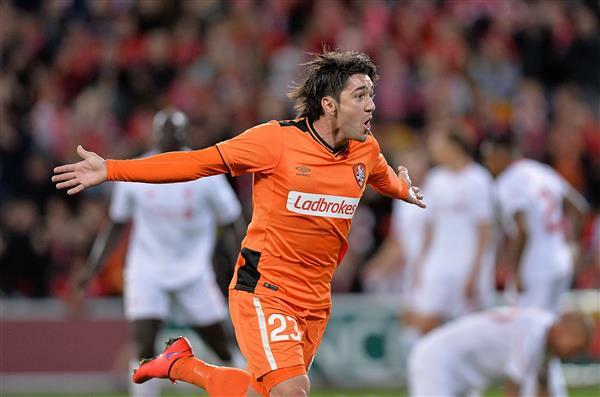 He picks the ball up on the halfway line where he turns and runs at the Brisbane defence. He sends the ball to the left and after some smart build up from Liverpool the ball falls to the youngster, whose effort is blocked by a Brisbane defence desperately hacking the ball away. 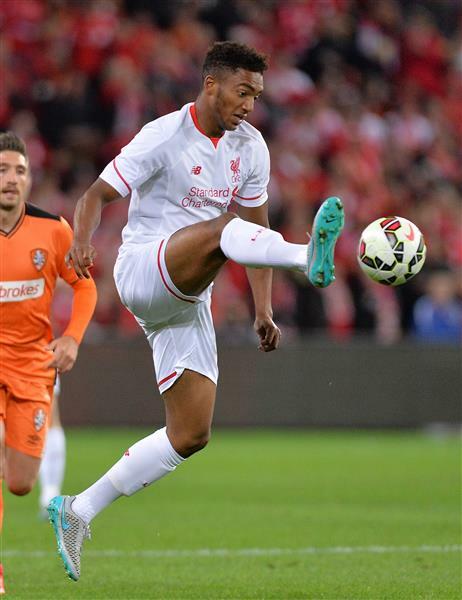 40 mins: The impressive Joe Gomez shows he has defensive talents to go with the attacking skills. He scarcely seems to break a sweat as he covers plenty of ground to steal the ball away from Lustica. An impressive start from the youngster. 43 mins: Excellent move from Brisbane, with Broich sliding a through ball between Skrtel and Sakho for Borrello to chase on to. He slightly overruns the ball and cannot get the pace on a shot to overly challenge Mignolet. Half time: Some late pressure from Liverpool, with Mamadou Sakho going close from a corner, but it remains 1-1. And deservedly so. The visitors are being given quite the game by the Roar. 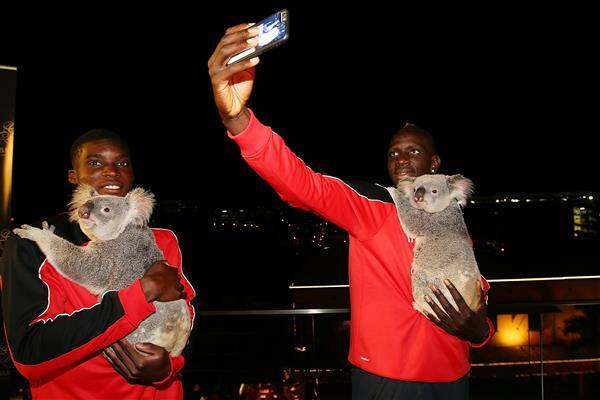 The highlight of Liverpool's pre-season tour. The forward is expected to not take part in tonight's friendly with SC Braga as his move to Anfield moves closer. 46 mins: We're back underway for the second half, with no changes from Liverpool. 47 mins: Origi wins a free-kick on the right corner of the area, his pace too much for North. Henderson hits the free-kick just behind the penalty box and Milner should do better than to glance the ball with his head. 54 mins: The quality of passing in this second half has been nothing short of abysmal. 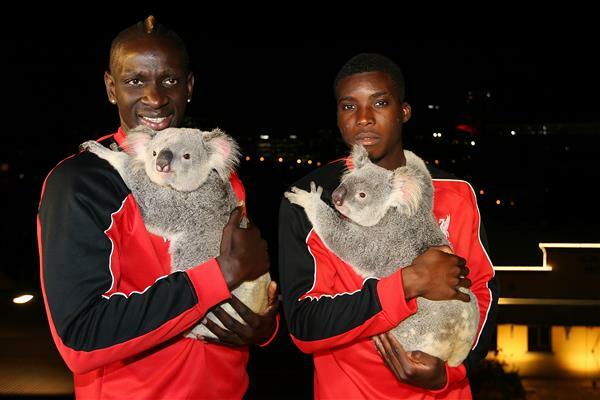 First Sakho lobs a 40-yard pass to nowhere, then Brisbane's Donachie fires straight into touch from the halfway line. The energy in this game has collapsed. 57 mins: James Milner and Adam Lallana combine nicely to give the former space to move forward. He can't slip a pass through to Ings but at least Milner is looking influential in the middle. 60 mins: Again Milner starts an attacking move, feeding Origi down the left flank. He keeps the attack moving and gives Lallana a crossing opportunity but Ings is unable to get any purchase on his header. 62 mins: A quadruple change from Liverpool, who hoick off the struggling Sakho for Toure, Lallana for Ibe and Gomez, who thoroughly impressed, for Joe Maguire. Ryan Kent is the final man on, replacing Origi. 65 mins: Brisbane go very close with substitute D'Agostino hitting a snap effort from 30 yard that threatens to dip in. Mignolet may have had it covered but it was dipping and swerving ferociously. 69 mins: Jordan Ibe goes close with a spectacular effort from near the left touchline, winning a corner that James Milner cannot create a chance with. Lucas makes way for Jordan Rossiter as Rodgers give another youngster a chance to shine. GOAL: Liverpool take the lead, James Milner gets his first goal in a Liverpool shirt. Ibe wins the ball high and gives it to Henderson, who feeds his central colleague. Milner dribbles past one defender before his bobbling effort is deflected over the keeper. 77 mins: Brisbane aren't giving up, with Clut winning a corner after his shot is deflected. Liverpool scramble it clear. 80 mins: Jordan Ibe runs from deep, commiting the opposition and powering his way into the area. His shot with the outside of his right boot is smartly saved by Young. 85 mins: After a spell of pressure when they took the lead Liverpool now look much more comfortable. Toure in particular has been a solid presence, reading Brisbane's attacks well to win the ball back. 89 mins: A blocked shot from 20 yard by Rickie Lambert falls to Jordan Rossiter slightly further back. The 19-year-old strikes a technically perfect volley but Young is well positioned to hold the effort. 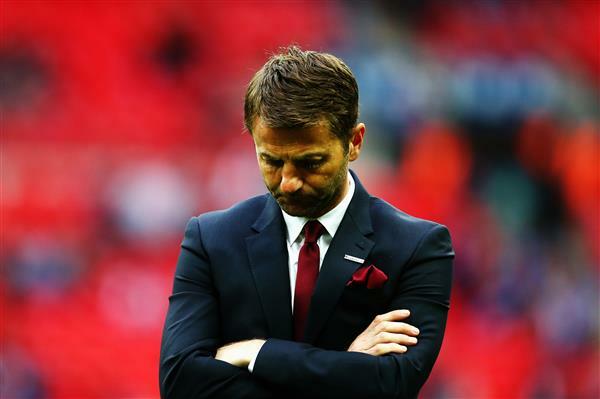 92 mins: Brisbane win a free-kick 30 yards out on the right? One last chance for an equaliser? Full time: No. Liverpool clear comfortably and the final whistle is blown. A good workout for Liverpool and a tough win. We're yet to hear anything from Rodgers. But look how happy he looks. Joe Gomez: He confirmed the new signing won't be going on loan and "will stay here and compete for a place". Alberto Moreno: The left-back has been injured and not available for the friendly matches. The midfield: "James Milner and Jordan Henderson could probably run to Adelaide."